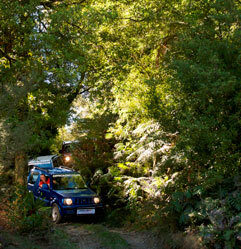 Off Road NZ is located just 20 minutes north of Rotorua - off SH5 between Rotorua and Hamilton / Auckland. Our Rotoura adventure centre is well signposted and very easy to find. Just follow the signs and you can't go wrong! From the highway, you'll turn left onto Maraeroa Road and then right onto Amoore Road. Click here to contact Off Road NZ via phone, fax or email.